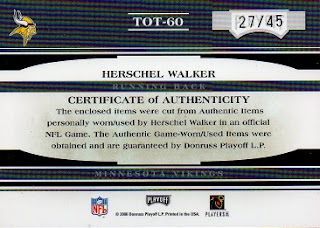 This is a jersey swatch card, again featuring Herschel with the Minnesota Vikings. The card is serial numbered to 45, with this being #27. I found this to be one of the tougher of the "Tools of the Trade" series to locate. Always nice when you can score a dual relic. 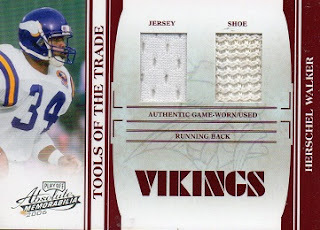 Nice shoe / jersey combo relic.